: SEPTEMBER 11, 1990 -- PRESIDENT BUSH [SENIOR] PRESENTS SPEECH TO CONGRESS, "TOWARD A NEW WORLD ORDER SEPTEMBER 11, 2001 -- MIGHTY BLOW STRUCK TO BRING ABOUT NEW WORLD ORDER. PRECISELY 11 YEARS LATER TO THE DAY! BUSH [JUNIOR] PRESIDENT. 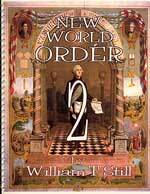 Title: SEPTEMBER 11, 1990 --PRESIDENT BUSH [SENIOR] PRESENTS SPEECH TO CONGRESS, "TOWARD A NEW WORLD ORDER"
Subtitle:Since '11' can be rightly thought of as the New World Order Number, this double '11' is most shocking. It seems to confirm the complicity of both Bush Presidents and their CFR advisors, in this most shocking of terrorist attacks. The number '11' simply surrounds this attack and for very good additional reason: it is a primary number in Mind Control. ""[The war in Iraq is] a rare opportunity to move toward an historic period of cooperation. Out of these troubled times...a new world order can emerge." Another of President Bush's infamous quotes also came from this Iraqi invasion of Kuwait, when he said in August, 1990, that "this invasion shall not stand, because it threatens the New World Order." Once the Senior Bush introduced this term to the general public, everyone started using it. Dan Quayle appeared on a great many television programs, explaining this term and telling everyone what a wonderful concept it was. British Prime Minister Margaret Thatcher and Gorbachev suddenly began using this term, a formerly very hidden term reserved only for the readers of select occult material. I find it highly interesting that, precisely 11 years to the day after President Bush delivered this speech praising the New World Order, and declaring it to be an inevitable fact, a mighty blow was struck to move the world finally into this global world system. 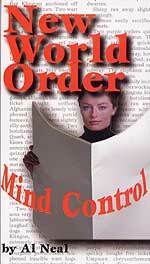 The New World Order was begun by Senior Bush and may be finalized by the Junior Bush. The Kingdom of Antichrist [the New World Order] thus occurred between the Bush's! That is quite a legacy for the Skull and Bones Society, is it not? "The Illuminati might logically want to reassure all occultists that no crew member would return home to "spill the beans" on what really occurred. Therefore, the three sets of elevens undergirding this incident would tell fellow occultists that Illuminati Mind Control was in charge of this situation. Certainly, no crew member has said anything that contradicts the official government line, at least nothing that has been reported. Most elite troops today in our armed services have been thoroughly programmed with sophisticated Mind Control techniques, without them being aware of it. These 19 members of this Aries II surveillance plane would certainly have been mentally programmed so they would follow orders exactly and so they would not crack under even the most tortuous enemy interrogation. "However, to ensure that no crew member would say anything revealing or damaging to the government, it is highly probable that the crew members were "reverse interrogated" by our own military, and were given a pre-set code that would erase all memory in their minds. Therefore, it seems highly "coincidental" that Illuminati Mind Control uses three sets of eleven as a mental code that will erase all memory of a particular event or series of events from the mind of the victim. Cisco Wheeler, former Illuminist who has co-authored several books on Illuminati Mind Control, says that, when Illuminati handlers want to erase a particular segment of the mind, they would flash a sequence of "11 11 11". After the Mind Control victim received this signal, they would remember nothing of the event they had just experienced!" "I spotted the three eleven's on the morning of the event, within the first few hours of the news coverage ... I was sitting with my fiancée on the couch, and I heard the news anchor make a point of saying, 'This day, September 11th, American Airlines flight 11 crashed into the north tower ...' and so on. I leaped off the couch, and said 'I can't believe it! But where's the third 11?' Within a matter of minutes, the news anchor then revealed that on this flight were 11 crew members -- and that was how she said it. She made it a point to announce that there were '11 crew members' within minutes of pronouncing the first two 11's." "But part of me thinks it doesn't specifically matter how they get out the 11's -- if this is indeed an Illuminati mind code signal, similar to the 'Queen of Diamonds' in the movie 'The Manchurian Candidate'. Remember how the assassin mind slave responded whenever he saw a Queen of Diamonds, regardless of where. His girlfriend even showed up in a Queen of Diamonds costume toward the end of the film, which set him off unexpectedly. If the numbers are being used to re-activate or de-activate operatives, then they would be responding to consecutive sets of 11 given within short periods of time -- regardless of how they appeared. Perhaps the key is flashing the number 11 as often as possible, so that inevitably, the operatives will be activated accordingly." This listener has the facts down perfectly. The author of the news piece that the news anchor presented made sure that he announced the news in such a way as to include the number '11' three times. Illuminati Mind Control is definitely at work here, both to erase memory of any involvement anyone might have had with the event or to trigger another aspect of the pre-programming of the Mind Control victim. As we have reported in other recent articles, the Illuminati was definitely the planning and the driving force behind these attacks; therefore, it is not inconceivable that they have individuals within society whose minds have been pre-programmed to accomplish a certain act of terrorism at a certain place and at a certain time. These pre-set program triggers would set them off to do the act they have been programmed to accomplish. It is a very serious matter to have the event so flooded with '11's'. This may be a signal that much more is planned, and probably soon. Some of these '11's listed below can be manipulated by man, and some cannot. This fact is the reason we have our World War III illustration showing Satan manipulating the world events so as to produce the scenario by which he can control the world and stage the appearance of his man, Antichrist. * When President Bush visited New York City on September 16, he was pictured with a firefighter who was wearing a helmet with the numbers, '164', which when added together, form an '11'. * During the crisis on Tuesday, kids in the area of the Twin Towers were moved to a "safe school" on 11th Street. * President Bush orders U.S. flags to be flown at half-staff under September 22 [11 x 2]. This date means that the flags will fly at half-staff for 11 days. This event is entirely covered over with '11's. To read the other instances of '11', read NEWS1533 and NEWS1538. Truly, the peoples of the world are witnessing the New World Order being initialized right in front of our eyes! Further, the massive usage of this number clearly indicates that significant individuals in our country have been mind programmed, so they will react to such a programming number. "I considered the  horns, and behold, there came up among them another horn, a little one [Antichrist] ..." Bible scholars have always called Antichrist the "11th Horn". Thus, this occult and Illuminist preoccupation with the Number 11 as they strive to produce their Antichrist, is dictated by Biblical prophecy concerning Antichrist. Truly, we are at the End of the Age. Are you spiritually ready? Is your family? Are you adequately protecting your loved ones? This is the reason for this ministry, to enable you to first understand the peril facing you, and then help you develop strategies to warn and protect your loved ones. Once you have been thoroughly trained, you can also use your knowledge as a means to open the door of discussion with an unsaved person. I have been able to use it many times, and have seen people come to Jesus Christ as a result. These perilous times are also a time when we can reach many souls for Jesus Christ, making an eternal difference.